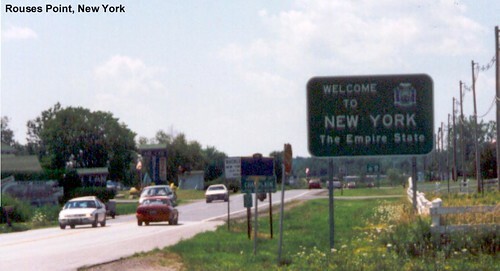 US 2 entering New York for the very short ride to US 11. 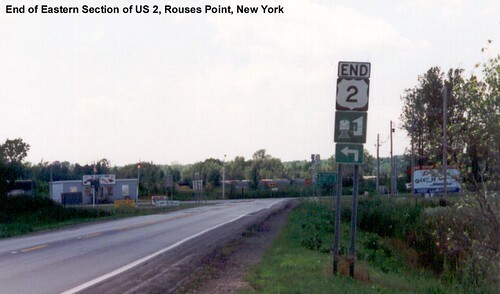 The eastern section of US 2 ends at US 11 in New York. The western section of US 2 begins in Michigan.